Reacting to the continuous ruckus in the Parliament over no-confidence motion, the Communist Party of India (CPI) has announced that they will observe a black day, if the House adjourns sine die before April 5. 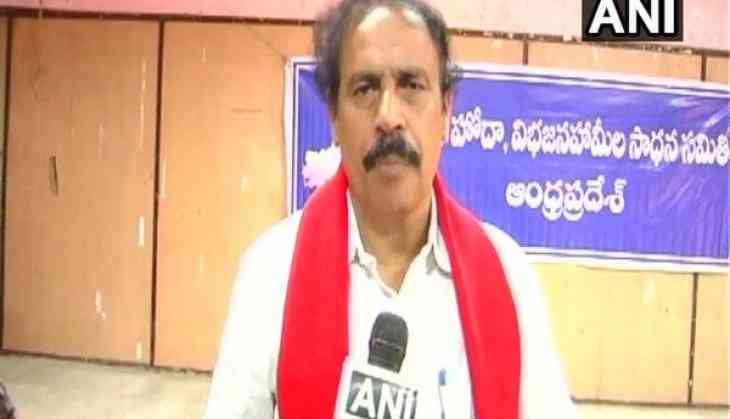 Talking to ANI, CPI state secretary K Ramakrishna accused the All India Anna Dravida Munnetra Kazhagam (AIADMK) and Telangana Rashtra Samithi (TRS) of obstructing the Parliament. "There are rumours that before April 5, they may adjourn the house sine die. If this happens, we will observe a black day," the CPI leader said. He further said that the party will also hold a demonstration to conserve the Constitution of India. "Everyday they are repeating the same thing. Some regional parties like AIADMK and TRS are getting along with Prime Minsiter Modi to obstruct the Parliament. On March 27, we are staging a demonstration to conserve the Constitution of India," he added. Lok Sabha, on Friday, was adjourned till March 27, following the protest by opposition parties in the Parliament premises, over various issues. While the Telugu Desam Party (TDP) continued its protest demanding Special Category status to Andhra Pradesh, the Congress party staged a protest demanding the Government to file a review petition against the Supreme Court ruling on the SC/ST Act that has diluted the provisions for immediate arrest under the act.